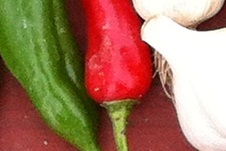 Summer is abundant! Sometimes the season is more productive than we can eat all at once. As a home gardener or just a savvy summer shopper, you can learn how to preserve the taste of summer for colder months rather than wasting the harvest. Join us and learn how to simmer, sauce, can, pickle and freeze your harvest now, for a little bit of sunshine this winter. This week chat about Preserving the Harvest as one key to health on #plantchat! Join @CoronaTools and #plantchat co-partner, Aaron Kinsman, of Rodale Institute @RodaleInstitute for this week's topic, Soil Biology is Key to Healthy Plants in the Garden. 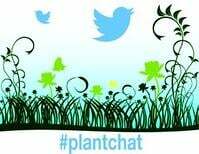 The live chat begins Monday, August 11, 2014 at 11 a.m. PST / 2 p.m. EST, were we come together with green industry experts and fellow horticultural tweeps each week to discuss all things related to plants and horticulture, since 2014. Preserve Summer! Winter can be long and cold, so simmer, sauce, can, pickle and freeze your harvest now, for a little bit of sunshine this winter!